SurveyMonkey is a provider of web-based survey solutions, trusted by millions of companies, organizations and individuals alike to gather the insights they need to make more informed decisions. "Amazing user friendliness with good options"
What Survey solution do you use? "Effective and Easy Data Tool"
"Very useful and intuitive tool for surveys"
"Survey Monkey is very useful and easy to use"
The best part about the Survey Monkey is that most of the features are free to use and you can make same multiple surveys by transferring the data from one survey to another. I use Survey Monkey to create anonymous surveys for students to fill out regarding evaluations of the class or questions they might have regarding the final exams. I also like that you can include cut-off times for the surveys to assign deadlines on when the survey needs to be completed. I dislike about survey monkey because some of the sample questions for the surveys pertaining to education is not very applicable. I use Survey Monkey for course evaluation for the classes that I teach. Some of the benefits to the survey is that I can share the survey with many people by sending them a link. It is very easy to make surveys and to fill out surveys. It is very easy for both parties to utilize the surveys. "SurveyMonkey, a professional and easy to use survey service." The best thing about this service is the facility to create professional surveys for users with little experience in the operation of this type of applications thanks to a simple and intuitive interface that allows you to create any survey through help assistants in a quick way. The dashboard is very complete and easy to navigate through, since everything is very well organized and organized, this way when we read the titles of the menus it is very easy to know where in the configuration we are and where we should go to configure those options that we need. The results that are obtained from the surveys are very easy to manipulate once we have downloaded them to our computer since by means of special programs filters can be applied to visualize only those parts that interest us or that contain certain key words. -The only negative point of this application is the price, personally it seems somewhat high especially if we are creating surveys with a large number of users and these surveys are not created to report benefits. -Another negative aspect may be that it does not offer a mobile application from which to view the dashboard and consult the reports obtained from the surveys. In my experience I think it is better to pay the monthly subscription of SurveyMonkey (even if it is the minimum) since it greatly improves the experience and it is possible to obtain better results by being able to use the application without any type of limitation. Normally in my work we like to have the feedback of users who test our applications so it is very useful to have SurveyMonkey and their surveys to know what they think about the applications we have created. The service is really useful because many of these answers really help us improve. "Wide range of excellent templates"
SurveyMonkey is an excellent survey creator with a wide range of features. Users are provided with many powerful features and templates. The interface is transparent and user-friendly despite advanced and sophisticated functions. The manual-builder is well-designed and intuitive, but I tend to use prepared templates, as they meet my requirements. Customization is effortless; users can easily add the company's logo or banner. You are able to share your surveys using many methods such as emails, unique website links or social media, as the platform integrates well with other application and platforms. The gathered information is presented in a highly-transparent form so that you could view the results in tables or diagrams with percent rates. I would like to change a little detail, which could have a positive impact on the number of completed surveys. In the builder-interface, there is information that says how much time the survey takes. If the information were shown with the sent message, it would encourage more people to share their opinion. SurveyMonkey is a polished survey solution with a vast template section and suggestion tool, so I believe the platform will meet your requirements. The application enables me to sound out my current clients about their satisfaction of our services. Collected results are valuable and help me to improve the company's appearance. 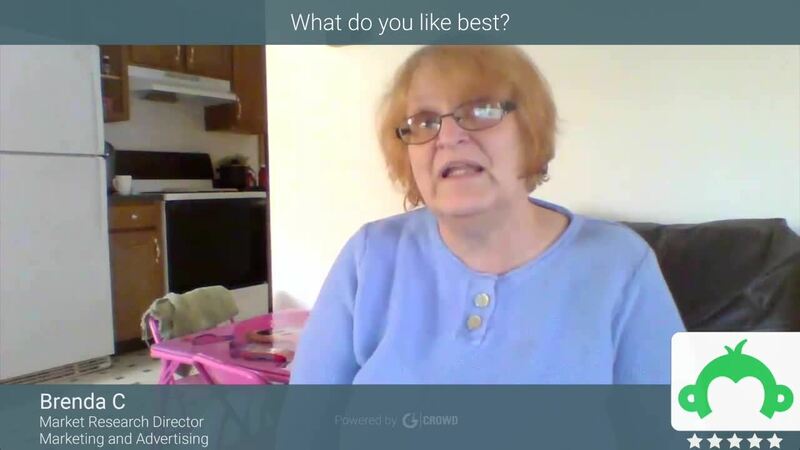 "Satisfaction surveys very easy to do"
I love this software because it is very easy to use, both as a user and creator. I have had to create surveys for the team and it helps us get a better idea of what is working and what isn't on our team. I did not like that that the advertisement for Survey Monkey is listed after each survey. This is the only thing that makes it look a bit unprofessional when you see the surveys. These are surveys that are so easy to complete, it does not take up a lot of time at all. There are simple formats and a clear area to type the answer on or select the bubble for it. As a corporate training professional for a benefits administrator, we used this product to survey the company on needs and satisfaction with training programs. Worked out just fine. Easy to set up and launch the survey. Reports are clear and precise. SurveyMonkey is a great tool if you are trying to capture simple information. I wish they could improve the print functionality; meaning, everything should be able to be compiled on one page instead of multiple pages. Building out the survey format and/or editing the template was time-consuming. We are based in a retirement community and had to make sure the survey was not confusing. I think that Survey Monkey is a great resource for beginning surveying. It has so many helpful pre-made questions and templates to allow making surveys easy and accessible. Our company used SurveyMonkey to administer a Parks and Recreation survey to a community of 6k. Administering the survey online was a piece of cake; however, trying to produce a physical copy of the survey was not fun! I love that there are so many questions already in the program. The pre-made questions really help me to structure my questions and I can use Survey Monkey on my computer or my phone and monitor the survey from anywhere. "Ideal software for the study of the market through the formulation of surveys!" This tool is excellent especially because I work daily with many clients and can design effective marketing strategies that accelerate the short-term sales process, I love how easy it is to use and send through social networks, email or simply to have them printed, allows the opinion of customers or general public without much effort, the results are reliable and can track them as they are becoming an excellent option in the sales and marketing process designed to capture a greater number of customers and improve the quality of service according to the needs of the market, its adjustment is simple, has templates to select as well as various categories. Survey monkey is interactive and very useful for every company in order to improve services and achieve successful results in the planning of projects, I have no complaints about this application. This application is very useful for any company providing benefits in the realization of projects and strategic planning reaching goals in less time, allows to be more efficient, the reception of results are fast and reliable, I believe that SurveyMonkey is an excellent tool! It allows us to be more efficient in the achievement of short-term goals, being able to study samples before the realization of projects in order to avoid unnecessary expenses as well as achieving position at the market level, especially as a consumer company guiding the company for the best path.
" 769/5000 Powerful tool for effective decision making before new projects. " I like surveymonkey and it allows me to design surveys very fast, since it has a wide variety of templates and models of pre-established questions that we can adjust comfortably to the type of survey we want to carry out. With this great tool we save a lot of time, by getting answers much faster, in this way it helps us to make effective and above all objective decisions. It is easy to use, has a very friendly platform, which makes us adapt without greater complexity. Surveymonkey we use every time we need to do market studies, even within the same organization, facilitating our development and growth. So far we have not found anything that we do not like surveymonkey, it is really a fascinating tool and with which we have obtained great benefits. For its functionality, easy to use, I highly recommend surveymonkey, no matter the size of your organization or what market time or sector your survey is aimed at, surveymonkey has no limitations, being able to obtain objective answers and quickly, is a tool which we can trust, surveymonkey makes it possible. Do not waste time or money on other similar tools, surveymonkey has everything you need to successfully achieve what is plated. Thanks to surveymokey we have achieved incredible things, the growth we have obtained has been really gratifying, we have been able to reach and cover more market, significantly improve our processes and offer higher quality services. As a specialist in the sales area, it has been really important to have this powerful tool, since we start from there to make decisions and bet on better development, with surveymonkey we feel confident before embarking on a new project, we get much more answers fast and most important, objective. We will continue using this incredible tool. "Whatever feature you can think of, Survey Monkey has it. " There ability to create tools features before users asked for it. You don't see that much in other services. Seems they are working ahead of the curve. Save your time researching other vendors. Survey monkey really has no competition in my opinion. I never had a feature I wanted that they didn't have. "Great Software for the formulation of accounts!" It allows us to get closer with clients in order to know their opinion about a topic through surveys, I love how simple is your panel is interactive offers categories to select as well as questions and answers model, is an excellent ally in my work especially because I work with the public, allowing to obtain better results in the project planning as well as in the marketing strategies that allow to increase the sales, the results are reliable and they are opted quite fast, it allows to collect them through the social networks, messenger, e-mail or to be printed, is an excellent software for the study of samples in function of improving the quality of the service or simply in the realization of projects. It is powerful and functional being very useful to keep the company positioned at the level of the markets, it works without any novelty, there is nothing that disgusts me, it is very easy to adjust. I recommend the use of this application for all professionals especially in the area of ​​sales and marketing as it allows to achieve goals through marketing strategies to improve the quality of service as well as obtain better results in the projects you wish to embark on the company. best way, it is very easy to use really worth trying this Software! Allows to be more effective in the provision of the service as well as position the company through the study of samples that lead to successful results in the realization of projects, is a tool that drives sales through marketing strategies. "Get in touch with your customer thoughts"
Use Survey Monkey to create surveys of all kinds, especially I do it as a mediator for my clients since the type of survey demanded is very varied, even though they are very different surveys I have not had any problem with the service that has always worked very well for me, also on some occasion I had to contact the technical support and I have been treated with kindness and also great help to resolve my questions. As for its interface, it presents a very friendly visual aspect that allows the application to be used by personnel with little knowledge, its dashboard is very simple with green colors and well organized and intuitive menus. In addition, SurveyMonkey has predetermined templates that will help us create surveys in a quicker and easier way using these templates as a base. The results, once the templates have been modified, are very professional and are shown with a very aesthetically beautiful design. The usual with this type of applications I think they do not help enough new customers because the trial periods are insufficient due to limitations, I am currently a monthly subscription client and I do not have this problem but the first time I tried the application I would like to have been able to do it without having to subscribe previously. I definitely recommend this application as a way to get information about the needs of your customers regarding a product or service, I also think it is one of the best services of this type since its Dashboard is quite simple to use for any type of user. I really use SurveyMonkey to create the surveys that my clients entrust to me so that I only dedicate myself to the administrative part (dashboard), however I can say that all the clients that made use of this application were satisfied and in some cases bought subscriptions monthly as usual. "Efficiency and productivity in project planning and Marketing strategies!" It is an excellent platform that allows me to know in real time the opinion with respect to some topic, I love easy lom that is to create surveys as well as the rapids in which it shows the results of sure way guaranteeing the success in the planning of the projects, by My work in customer service has been very useful especially to improve aspects that we do not see internally, has different question templates according to each category as well as several means to collect results such as social networks, its panel is quite simple. use identifies each step to follow making its use more interactive, it is a great tool for the world of business and customer service. I have not found any negative aspect to this application is very useful especially for the planning of projects or improve aspects within the organization that allow to show a better perception to the public in general. It is advisable to read the guide of use that provides the beginning of the registry in this way to make its use more efficient, I consider that Survey Monkey is an excellent tool for the simplification of the processes in the planning of the projects allowing to make samples studies without major effort and with reliable results without wasting time. Guarantees success in project planning and marketing strategies by accelerating the sales process through the study of samples that allow us to offer a better image, allows us to direct the company on the right path and keep it well positioned at the market level. "Knowing what the customer thinks is easy with SurveyMonkey"
I used SurveyMonkey to do a certain survey for a college project. I love the UI that shows all the survey on one page that moves nicely to the next survey when be scrolled, makes it really easy to answer the survey. Though it looks good, I still think that Typeform is a nicer looking software and would lean towards using that if I were to pay for a form service. SurveyMonkey is a great product for both quick and easy surveys and more complex surveys. Overall great experience with SurveyMonkey as I still use it to this day to create business surveys as well as personal surveys for family.Easy to use with lots of features Clean and modern looking Well known name brand. We had a very specific question we had to ask our customers and the results simply floored us and we are now making the changes to implement this huge change. Without SurveyMonkey, we simply would not have known what our customers really wanted. "Excellent Software for the study of samples with timely and reliable results !." What I like the most is the ease of designing surveys through an easy-to-navigate panel, it has several categories to select as well as templates of questions and answers, the results are reliable and can be visualized as they are received, leading to better control and monitoring, allows selecting the medium to be used to collect the results, these can be through social networks, email, messeger or simply to print, its setting is fast without downloads unlike other software of the same category, Survey monkey is productivity without loss of time . I have been working in the Sales and Marketing area for several years and have used Surveymonkey many times to get the opinion of clients, suppliers and work team without presenting any kind of problem. Allows to collect opinions from the general public in this way to obtain good results in the realization of projects, allows to achieve goals satisfactorily as well as directing the company on the right path, for my work in Marketing has been very useful above all to know the opinion of the clients regarding the quality of the received services allowing to discard falls and improve each day more. "Excellent Software for the Sales and Marketing area!" For my Survey Monkey is my number one ally especially for my work in the sales area and Marketing helps me obtain better results by designing simple surveys to perform to my clients and suppliers in order to know their opinion on the basis of Some issue I improve improving the service offered as well as detecting possible failures, this application I love! its panel is simple, has templates of questions and answers to select as well as varied categories according to the area of ​​work, does not require downloads, fits without more effort to the team, allows me to have a greater reach through the use of social networks its results are reliable and its compilation is quite fast unlike other platforms. I have nothing negative to say about SurveyMonkey is an excellent tool in the formulation of projects and very useful in my work allowing to conduct market studies without problems in an efficient and safe way. I recommend the use of this application for all types of companies in particular to those dedicated to the area of ​​sale of services or consumption provides the necessary tools to streamline the sales process and position the company at the level of markets, it is important to read the manual before to start using this application in order to get the most out of it! It has allowed me to plan in a better way the projects in turn save expenses and time in doing some activity that really is not in the interest of the public led the company on the right path, allowed to create mechanisms to increase the volume of sales through knowledge of the opinions of the clients is a great ally in the area of ​​sales and Marketing. "excellent for the development, implementation and analysis of surveys"
is a great platform like very few that allows us to compile in an organized and reliable way the opinions of the users and clients through the personalized creation of surveys to know their satisfaction regarding the benefits and services that we offer, in this way this software becomes a valuable opportunity to achieve the business growth that every company, small or large, wants. what I dislike a little is that when we use the free version of cost we can not access all its functions, which is a great disadvantage, such as exporting data to other tools such as Excel or collaborative work to share the results obtained with other users. this limits its implementation and total co-occlusion of the great opportunities that this tool offers us. I recommend it because it is a valuable tool that allows us to take the information obtained to the solution for the flat satisfaction of both the employees and the clients and interested people, it is also very useful to create different experiences that generate confidence, security and loyalty with the people that integrate our business. SurveyMonkey is efficient for the development, application and tabulation of surveys, specifically it is an excellent help and it allows to eliminate the problem of analyzing the results since in real time it is carrying out the tabulations and graphic representations that reflect the obtained, in the same way it favors and promotes To the productivity and total satisfaction of the client, I also consider that it integrates users as workers, which also play an important and indispensable role in any organization. this platform has allowed to minimize costs in impressions to apply surveys as well as protect them with passwords, which means that it gives us security and confidence. "SurveyMonkey will make it much easier to do a survey." I like that the surveys look appropriate for a business environment and are ridiculously easy to create. I also like that they offer what we in the office refer to as cascading questions: where later questions asked can differ based on previous responses. It can sometimes be time-consuming to compile the survey due to the options available. But once you get used to it, it becomes easier. SurveyMonkey makes things easy for both the survey creator and the survey taker. Also, the results are easy to analyze. 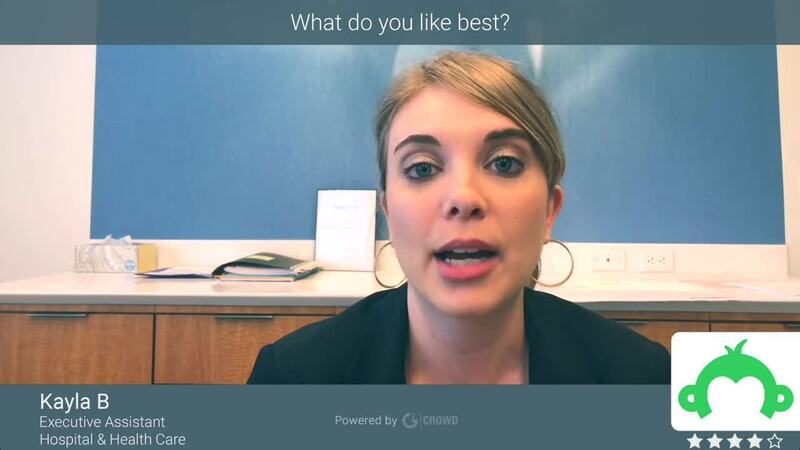 It's a great tool for a company looking to get feedback from its employees or customers. There's a lot to like about SurveyMonkey. Good and gets the job done. It has helped us to get feedback from users and stakeholders and also assisted us in real-time prioritization with our stakeholders. The time it took to get a survey up and running and sent out to all stakeholders, plus multiple options to suit question types. "Very useful for surveys within the company"
I absolutely love this software. Everything always runs smoothly, there are no issues or popups like you get with most survey sites. I would have to say this is the most simple of them all! The only con I've noticed is that SurveyMonkey is so easy to use that sometimes there may be too many surveys sent around. On the plus side though, the surveys are very easy to take so it isn't that much of a burden. Loved it how easy to use can be, I love the ease of setting up a survey regardless if it's 5 questions or 50. An easy results-driven program that helps to see where improvements can be made within a business. LOVE the "Question Bank"!!!!. Awesome tools to make custom forms! We've started using this for email marketing surveys and it's so easy to use. No coding, no hosting, you just build it out and send out the link. The reporting is easy to read and understand. Our department uses it for yearly surveys and I like how clear the questions are set up and how quickly you can go through them. The design is also pleasant to the eyes. "Creating Surveys is a Breeze"
Survey Monkey allows you to create surveys of nearly any length. You are easily guided through the creation process and do not require any great skill to do so. You can draft the survey within the software or copy and paste from a document you've already created. The software allows you to save your company's logo and other art or brand-related materials. The site offers very useful analytics such as the completion rate by respondents, the total number of respondents and the amount of time each person spent responding to the survey. I really cannot find a downside for this survey generator. The ease of use makes it one of my go-to sites when I need to create a multi-user survey of any length. One-Stop shop for all of your survey needs--really there's no need to look elsewhere. As a Project Coordinator, I find that I need to quickly generate a number of surveys for a diverse population within the organization. For example, one survey might be needed to quickly poll our major donors and another to get a feel for the population of women we as an organization are tasked with serving. "It is an application with many possibilities"
"Speed, reliability, objectivity in surveys in an excellent tool. " I like Surveymonkey because of the simple and fast way that it has allowed us to connect with users and clients, obtaining objective answers, promoting the decision making process to be carried out safely and in highly competitive markets. It is a great tool, we have obtained multiple benefits for its use. It is a functional tool, we have not found anything that makes it disadvantageous or that we did not like, on the contrary, it has been very valuable. A perfectly fulfilled with its function and to achieve our objectives. It is always advisable to maintain effective feedback with our customers and users of our products and services as it is through them that we can know if we are providing quality services, if the products we offer meet the standards and their receptivity, is where surveymonkey helps us to determine such questions, in an easy and safe way. It is an excellent tool. Thanks to surveymonkey for the great benefits we have obtained, which have had a positive impact on the attainment of our objectives, in a fast, simple and reliable way. Being able to connect with customers in the shortest time makes the processes more fluid, since time savings are significant. Carrying out a project, improving internal processes, improving sales flow, knowing about the quality of our services and products is only possible through this great tool. In summary, we have been able to cover more markets, increase our sales, improve our processes, the quality of our services, be efficient and make correct and timely decisions. "Get important information through simple surveys"
The design of the surveys is attractive as well as being simple, which helps users to answer more and not leave a survey half-way, since many times we had this problem, since we created very long and unattractive surveys and users did not they answered them. The survey analysis tool also provides information that can be used to modify and improve that survey in real time and also for future surveys. This tool is quite complete, since it provides you with extensive reports from which you can obtain good knowledge. I think they should improve the design of the program, because although the functionalities are very broad, the interface is basic. By using SurveyMonkey you can know what your customers think about your company and your products. Knowing this is basic if you want to keep growing and offering attractive products to your audience and make your business brand more known. The doubts that you have about a product or service that you are developing can be solved by creating surveys. Surveymonkey allows you to create varied surveys with multiple options and many customizable, which helps you to adapt to your own interests and consult your customers the information you need and thus get good feedback. Thanks to this tool we have also improved profitability in certain products, since by having more information, we can know which people are more interested and send them more information. "It is an essential tool for collecting data"
SurveyMonkey is so easy to use. I love how easy it is to assign admin rights and how easy the reports are to use. The software has come so far over the past few years. I like that it’s truly anonymous and people know that. Every so often, I’ll hit a little snag where it’ll get stuck, but the information usually gets saved so I don’t have to start over. SurveyMonkey has been around for quite a while and continues to deliver on its promises. It is simple to put together a survey that looks great. It integrates well with MailChimp, GSuite, and other platforms. We have new marketing strategies we want to collect data for and SurveyMonkey has made it easy to do! I love that you can customize your surveys; it is easy to edit each question; it gives you a quick overview of recent surveys including # of responses, % of completed surveys, and average time spent in the dashboard overview; you can find survey tips to help you collect the data you need; and there are tons of options available to design your survey, collect responses, and analyze results. "Great effective tool for the decision-making process! " I like surveymonkey because it allows you to connect with internal people, users, clients in a fast and safe way, obtaining objective answers, to know about different situations, such as market studies by launching new brands, quality of services, even internally to know if the processes are being executed in a correct way, and so to take appropriate decisions and apply the necessary corrective measures that allow us to grow and develop before highly competitive markets and magnify the system of our operations. It is a tool that we use constantly because of the great benefits that it has generated. Surveymonkey has everything we need to get results that allow us to develop and grow even more, I have not found anything that I do not like through its use, on the contrary it has been very useful. For the simple, easy to use, so functional and great benefits to obtain, I highly recommend surveymonkey, save time and money, get immediate answers, safe and objective, grow your business too, so start using this great tool. The great impact that the use of surveymonkey has brought us, is reflected in the results obtained, great improvements in internal processes, improvements in the quality of service provision and, in turn, the significant increase in productivity with reasonable improvements. in the volume of sales. In economies with large market competitions, it is necessary to apply surveys of this nature focused on sectors, business units in order to obtain an objective feedback that supports the process of taking the right decisions and guaranteeing the success of the business, associated with time with the time saving that in turn generates us. Thanks to this magnificent tool, we continue to grow, it is really good and that is why we use it. "SurveyMonkey, great tool for surveys!" Survey monkey is quite data-driven so as soon as you log in you will be able to see quick stats on your account ( How many open surveys you have, total responses, average completion rate and typical time spent) and also you can see all this information broken down by each survey that you have live at a given moment. Creating surveys is very easy as well which is a plus!! It looks a bit bulky and it isn't very design driven, but it does the job very well so you can just overlook that! We used Survey Monkey for our business. The format was great and our users found it simple, easy to use. Great tool for surveys, follow up, responses or gathering data. We use SurveyMonkey for internal and external feedback collection. Externally we use it to collect feedback regarding our events and you can set it up to send an email notification to the relevant person. Internally we use it for our employee satisfaction survey. I liked the accessibility and how easy it was to customize your questions and format. It was easy to use as both the creator and the respondent, and I believe I received a lot more responses because of this ease of use. The data was clear and easy to analyze, and there were even more advanced analyses features that I had the option of but did not use. In order to see certain features and responses past a certain number you need to pay, and the service is expensive. I recommend lowering prices and having more package options. If you are giving multiple surveys the price may be more worth it but I only gave one and the packages are monthly prices. Use the free service, as the packages are very expensive and the free service has a lot of features. You can do a lot with the basic package, so if you know you will have under 200 responders use the free service. Otherwise, if your company will pay for it and you expect a lot of responses the paid services have some advanced analyses. I am getting feedback from parents in order to improve services. The ease of survey allowed a lot of responses. I am able to look at different types of responses and also analyze open ended responses which helps allow for more freedom from the respondents and more information for me. "I like how easy and fast it is to send a survey with SurveyMonkey"
I love how simple SurveyMonkey is, the quickness in creating and sending a survey is the best. I use SurveyMonkey whenever I need ease of use for sorting responses. It's got a leg up on the competition in that regard, though I don't use it for all of my needs. This is one of the best survey tools available. Of course, they could offer a little bit more variability, but no tool/platform is 100% perfect. Overall, I love using SurveyMonkey. It's such a simple, easy product with so many uses. Super easy to use! Great way to survey event attendees, ministry partners, groups, etc. Easy to set up and easy to share. Results are easy to access as well. Easy to use, looks really good, you don't have to spend hours or even days learning how to create a survey. I've been on both sides. I've received surveys made with SurveyMonkey and also created them. As a user, it's really an easy, intuitive platform for making your voice heard. As a creator, it gives you a tool that makes your job so much easier. I love the ease of use when curating a survey and how you are able to send it out to the specific people so swiftly and with little or no complications. The results are quick to update and view in real time. There is not much I was able to dislike from my experience but if having to choose I would go with the public community aspect, per say getting a survey out to the general population as to your coworkers. I found a slight disconnect between the user and surveymonkey community. I was able to utilize the site in creating a survey, almost even a form like questionnaire in which my coworkers could view, fill out, and submit which in turn helped me group them into smaller teams based off the results. The benefit if doing so through surveymonkey was the quick access to responses and ease of getting the survey out to them. "My experience with SurveyMonkey is very good"
The survey was easy to use, I received enough response to validate my results and it assisted in setting some business directions. It was easy to set up my surveys and tabulate the results. I have been able to transform the company's opinion gathering as well as the employee review process. I feel the new survey set up could use improvement as well as saving the documents. My overall experience with SurveyMonkey is good. To build and share the survey quickly with the target audience. Great software that helps you to express your opinion and read other opinions. Survey Monkey makes creating professional looking forms and quizzes extremely easy to do. There are other products that do a similar job for less, but if you have the budget available, this is likely to be your best option. Clean interface Easy to use Lots of features, Very versatile, I have been able to transform many aspects of opinion gathering, even the employee review process. "An easy and fast to understand survey format"
I rely on SurveyMonkey to create surveys to gauge training that I conduct with my staff throughout the summer and also throughout the year. It's fairly straightforward and I'm able to dissect data in a quick and easy manner. It's hard to find anything to pick, other than that when taking surveys, it directs you to the site or asks you to create a survey rather than just being done. This is truly nitpicking, however. Overall, as the title states, it gets the job done. It provides a unique opportunity to reach many people and besides, it is really simple to use it. It is a user-friendly software that allows mailing a large number of participants. Our business has actually purchased this software, on many occasions have used this in order to help other businesses with surveys. When responding to surveys the format was easy to use and understand. If our business was in the market for survey tools we most definitely purchase this program. Give this a huge thumbs up. "I think it is one of the easiest services to use"
A great way to make surveys and offer them to your customers. It's free and the most popular and used survey site out there. I have taken surveys through Survey Monkey from both large corporations and small indie companies. The support is for the most part faq's and emails. All self-care, which is fine if your deadline isn't looming. I've been very surprised at the price. It's definitely not startup-friendly unless your business is solely based on just taking surveys. We use this to build monthly surveys for our residents and collect and then analyze data. It is easy to use and very time efficient. The easy in building surveys, either from scratch are copying a prior survey and modifying it. The best part of this software is the insight and information it allows you to receive from clients through its easy to use surveys. My company has used this tool for our meeting by customizing a survey to find out the details of attendees to meeting and to also receive their feedback. This has been a great tool for my company in acquiring customer and employee feedback which has made our company great. "Market study with fast and reliable results!" Facilitates the obtaining of successful results in the planning of projects at the same time is a fantastic tool for the sales area I love because it allows to draw strategies through the study of the market and opinion of the clients in order to increase the volume of sales, it is an excellent tool that favors the visualization of the company in the market, positioning it through planning, its adjustment is practical, it has an interactive and easy to manage panel. This software works without problems is an excellent ally in the companies dedicated to the sales area, I have been using it for several years without getting any aspect that I dislike is quite easy to use. Favors the positioning of the company at the market level by means of the formulation of surveys that allow to direct the business in order to improve aspects that better satisfy the client, the results are reliable and safe, it has a greater scope in comparison with other software of equal category since it uses social networks as a means of sending surveys, this software does not require downloading besides propoporsionar efficiency without any doubt it is a functional application of great utility in any company. Allows to carry out studies of the market or specifics samples obtaining satisfactory results in the planning of projects, it is an excellent ally in the sales area and Marketing allows to establish strategies to increase sales as well as to carry out a survey impression what has been used to study a public Specifically, it is an efficient software that generates productivity in the short and long term. "Great tool for survey and nice analytics features"
The main aspect that I don't really enjoy is that to me some features are not very intuitive or not so easy to use when you build your survey or analyse the data at the end.However, it's not something that can't be overcome, but would be to improve in my opinion. It becomes easy to reach out to customers or partners (in my case) with survey that is built in just a few minutes when your questions are ready. "Simplicity and objective answers with surveys that are easy to understand and useful. " To be able to elaborate online surveys that do not occupy space in the computer, in a simple quick way, with a super intuitive platform that facilitates even more the elaboration of the same ones. At the same time, SurveyMonkey, has templates and survey models with already established questions, which serve as a guide and use the appropriate words and techniques that merit the surveys. It's pretty good and works perfectly. SurveyMonkey has fulfilled my expectations and objectives of the organization, therefore we will continue using it, I have not found anything that I do not like through its use, on the contrary, it helps to improve productivity and to propose firmer and safer strategies which are super beneficial for our business. The range of templates and formats of pre-completed surveys that make the completion of our surveys even faster, and that we make sure to use the appropriate terms to reach the user or clients. SurveyMonkey is simple, there is no cumbersome process that makes you waste time, on the contrary, with this valuable application you will win in economic terms and development of the organization. Use surveymonkey to know the market, needs, or any concerns that allow you to make sound decisions at a certain time. With SurveyMonkey we have achieved an incredible growth and development since we began to implement it, which are reflected in the reports of the end of the month, we have been able to measure the traceability of opinion on products, conduct market studies, obtain opinion on customer service and measurement of customer and employee satisfaction because we have also implemented it internally as part of the improvement process that has been achieved. Obtaining more objective answers has helped significantly in the decision-making process, and we will continue to grow. "A well-known survey tool that is easy to use; what's not to like?" Everyone knows SurveyMonkey, which makes it easy to send their recognizable links around and have users fill it out. Setting up surveys within it is a breeze too; it's made for quick, simple use. I no longer use it at my current position, but I have at an architects society and at an IT media company and it was a big success at both places. Sometimes getting detailed can be difficult; it's such a broad tool that going in the weeds requires a little work. This is not a rarity among survey tools; it is typically easy to set up the basics and then the more intense surveys require a little work and some thought. But SurveyMonkey, for all its perks, still makes it a little tough to get granular. If you want a quick, easy, well-known survey tool, this is one for you! Everyone recognizes the name and the logo, and your staff will be able to make use of it for sure. It can be used internally for staff surveys or externally for surveys of your users or website visitors; both are a breeze to tackle. In the past, we shared a login with groups around the building and everyone who needed to was able to create a few simple surveys to fulfill their needs. Luckily, we didn't create a ton of the surveys so it was never overbearing; it just became part of the routine. But people were very happy to have this as an option; it was something they knew and trusted. 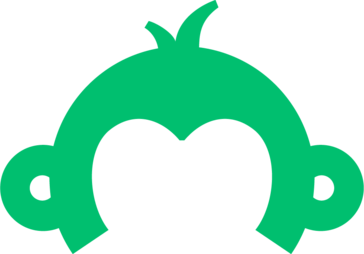 "Growth, development and empowerment of the market with surveymonkey! " What I like most and I am attracted to using SurveyMonkey, is that through the application of surveys, I can know the weaknesses and strengths that the market demands, make a preliminary study before launching a new project or product and thus achieve success in what you do, determining the breadth and creating improvements for the benefit of the consumer and in turn ensuring organizational growth thanks to this excellent application. I sincerely believe that surveymonkey is an excellent application, its simplicity of interface makes it possible to create a survey extremely quickly, and the communication and response of users are quite objective and safe, I have not found anything that I dislike or that I do not like during its use, on the contrary we have obtained excellent benefits. Being able to allow a much more optimal, objective and precise approach with the consumer, will obtain a broader and clearer vision about how he will direct or redirect his new projects or proposals before launching it to the market. I recommend its use, since the great benefits obtained are broad, the development and growth has been quite significant in the organization. Start using surveymonkey and it will become your main and favorite work tool. We have obtained great results and constant improvement of our services, in terms of quality and attention, making proposals and developing projects that have had positive impacts at the organizational level. As a sales representative, it has significantly improved the profit margin, not only in terms of my particular benefits but also in the organization, the application of surveys favors entrepreneurship and is committed to a prosperous and fast development, and that is what we have achieved now thanks to the use of SurveyMonkey. "Quick and easy system to create a survey"
It is a little difficult to cross analyze data on the system, you have to download the spreadsheet and do that yourself. I wish there were ways to cross analyze the data on the system, to analyze the data before you download the spreadsheet. The plans are so incredibly expensive for individuals!!! I would suggest that it is only worth it to buy the subscription to the advance services if you seriously need it. It is so easy to get by without the subscription, in my opinion. This system allows organizations who need a quick survey to gauge audience participation/reaction, or perception to be recorded if used for performing arts. Can easily be accessed by smartphone devices if survey's are conducted on site. Benefits include easy to read data spread for those administering the survey. "I like the templates and how easy it is to use SurveyMonkey"
I like that SurveyMonkey is intuitive. It's easy to create surveys and I like that they have suggested questions so you don't need to reinvent the wheel. Templates are pretty helpful when you don't know where to start or are short on time. Yet it's also simple to customize and use logic in creating questions for better user experience. It's also really helpful to see responses as individual and aggregate. I have not had any negative experience with the software. The only thing I would like to see is a revised pricing structure -- a pay-as-you-use option, so there's no upfront commitment when you may not use the software regularly. Otherwise, it becomes a bit pricey. I use SurveyMonkey weekly and find it very user-friendly; you can easily track your survey responses. We are a large business and use SurveyMonkey to send surveys out to our customers after we train them on our products to get their feedback on the products and how we did as a trainer. I like that it is a cloud base and very easy to use (for us and our customers). Very easy to set up different questions for different audiences. "Feedback, between my clients and me. Offer service where the customer's opinion is first." It is one of the most popular tools for it to learn its operation completely is facilitated. The formats to formulate the surveys are understandable and practical for the client. The ways in which the results are presented make it possible to extract information and make excellent analyzes in relation to the stated objective. Errors, or any negative. It seems to me that more are the fruits that I obtain through the use of this tool than the mistakes. You must use it and live an excellent experience. He is a leader in the formulation of surveys. This Tool knows how to do its job. Obtain documented opinions that I can analyze carefully and set action plans based on those answers. The client sees the interest I have in him and thanks me. For my satisfaction it is to solve the needs of the people that I offer service. 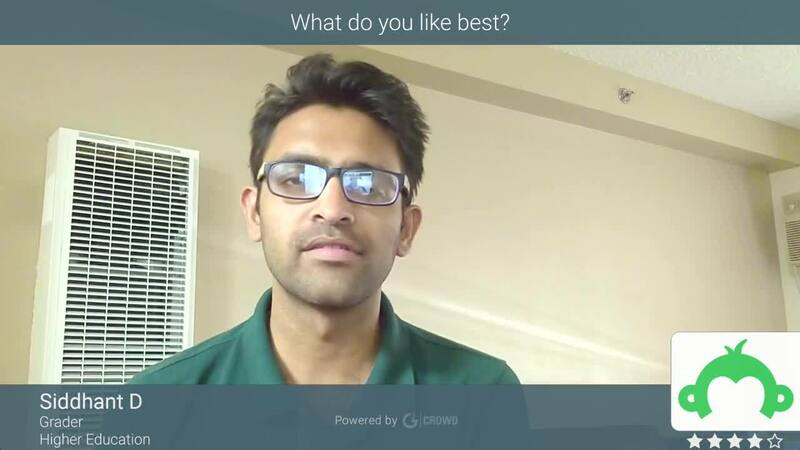 "I like the flexibility of SurveyMonkey surveys"
Since it is web-based very easy to use handy and easy to use for organizational surveys, there are many occasions in our company we use this tool for internal employee surveys. The changes I would recommend would be cosmetic - more UI and design options for users to be able to design fancier and non-traditional surveys. Survey Monkey is a simple survey creation service. Surveys can be easily created either from scratch or via templates and these can be shared effortlessly either internally to staff/stakeholders or externally to clients/customers. I use survey monkey to create surveys for events that I plan, organize and co-ordinate. From requesting volunteers, coordinating time slots and feedback, it is my 1 stop shop for getting things done fast.I liked the flexibility and ease it provided me to create surveys. Previously survey creation was a nightmare and an extremely time-consuming process. I can now create quick surveys for feedback or entries for events within minutes. "SurveyMonkey makes creating a survey, be a children's task"
It is very easy to use and it allows you to structure different questions and get detailed answers from your intended audience. Not only that, its reporting features are excellent! I just wish that they could add more templates and improved designs. Surveys must be catchy and need to be pleasing to the eyes. They can do this by allowing graphics/videos to be added on the surveys. I also hope that they could allow users to personalize the survey even more by being able to bold or underline certain words that need emphasis. Also, including more languages can help a lot as some surveys target a huge number of participants who are non-English speakers. Still, SurveyMonkey does what it needs to do. 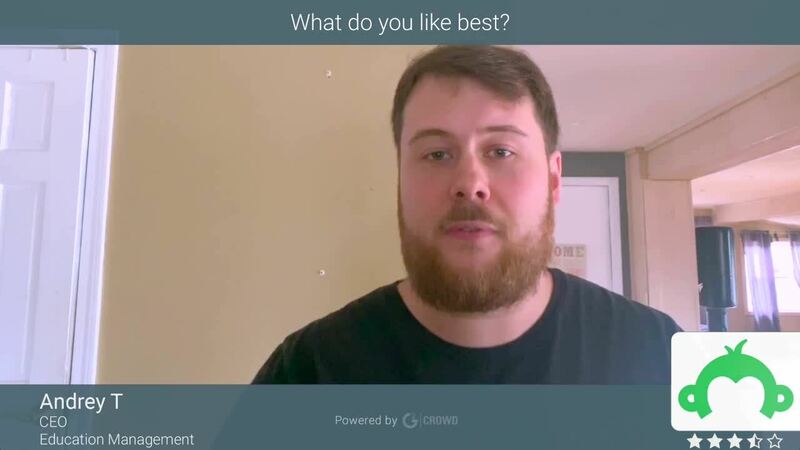 I recommend it to anyone who is looking for a great tool in creating fantastic surveys! SurveyMonkey makes creating surveys a piece of cake. It allows a large number of participants and this is awesome. It also gives you a direct link, which by the way works on facebook, and this is a BIG PLUS! More and more professionals are using Facebook as a social media platform and it is a big help that the links actually work! "Easy to create and send surveys." Everything an online survey would need, SurveyMonkey has that feature. The dashboard is so awesome to drive results. Especially helps when a number of users a many. Type of surveys you can take. UI of the overall app is so awesome. Hassle free experience while making an online form. Can add more question types for advanced users like audio and video. Maybe the mobile link is not very friendly but it's just a detail. It is easy to set up and account and collect data. Surveys are well laid out and clear to the costumes. The data analysis is brilliant and efficient. It’s easy to create surveys and always easy to take them. It’s very reliable and convenient. My experience with survey monkey has been super awesome. One can make an online survey in such easy way. You can select from single page questions or multistep questions. The questions types are multiple types like a single answer, multi-answer, text answer, etc. "Good platform to gather valuable information." If you want a bare-bones, easy-to-use, survey tool, then this is what you need. It's easy to use and set up, and there are no unnecessary complicated features. Love the ease of building a review and being able to send it out to my email list. Plus, I love the analytics on the back end that I can use to measure the success of each campaign. It's not as easy sometimes to embed in a website if someone has already taken the survey. Sometimes customers have gone to take a survey online and they can't access it. Overall, if you need to gather information from a customer base, this is a great service to use! Highly recommend for those who need something easy and not over complicated. You might prefer to look at Google Forms first, but if you find you aren't comfortable with that tool, SurveyMonkey may be a better choice, but at a higher price.The analysis tools are great and provide a clear snapshot of results on the relatively straight-forward surveys we create. "Surveys very easy to understand"
A great option for collecting feedback. It is a great option for capturing voices and opinions of people so that the organization can act upon for the growth of the organization. While creating a survey we need to perform many formalities and people are unaware of this software. So we need to educate them before sending the link. There are a huge number of templates available it, Which gives a powerful visual experience while filling up the survey form. It helps a lot for collecting the data that is required in marketing analytics. I used Survey monkey to perform data analysis on the user's opinion. The most important thing I like about Survey Monkey is can easily design surveys using this service. It is very easy to use and surveys can be shared over various platform very easily. It is very less resource hungry and only a good internet connection is needed to use this tool. Various organization use survey monkey to collect user opinion for data analysis. "It's a good application where you get answers from the people who you're targeting." The application is very simple and easy to use especially for novice users, and also has powerful tools for pro users. The application also helps one to collect and understand data from your customers, your employees, or your target market. The application also has great features and tools which are easy to use. The application especially for pros is a little bit expensive. The application has many features and tools which requires some time to learn so as to make a great survey. I highly recommend SurveyMonkey to organizations, businesses. If you want to give the best to your clients, or know your target market, then SurveyMonkey is the place. It's helps us get to know how our customers think about our services, where we are not doing well and what they think could be done, thus making our services customized to deal with what our customers want. This also helps us improve on quality and how we deliver our services. "When I need to send a survey, SurveyMonkey, it's that simple." It is so simple to create and share surveys. Most people have used it to respond to surveys so they are willing to open a link and respond because they know it's easy to use also. It can be complicated to set up and use all its features. There was no option to speak with a customer representative, only a help menu. Also, when I exported my data to Excel I noticed columns of information that were not included in my surveys. It is a good way to know some data, it is always necessary to know the opinion of the people about a product or how they feel at work to know what to change, and it is just what SurveyMonkey provides, the fair price for doing this task much faster and simpler. The ability to upload documents I created and not be limited to those offered by SurveyMonkey. I liked the design and colors of the themes. For my research, the option to limit respondents to certain criteria was a very good option. Lastly, I received quick data information from respondents, and SurveyMonkey analyzed if participants answered all the survey questions or only a few. * We monitor all SurveyMonkey reviews to prevent fraudulent reviews and keep review quality high. We do not post reviews by company employees or direct competitors. Validated reviews require the user to submit a screenshot of the product containing their user ID, in order to verify a user is an actual user of the product. Hi there! Are you looking to implement a solution like SurveyMonkey?